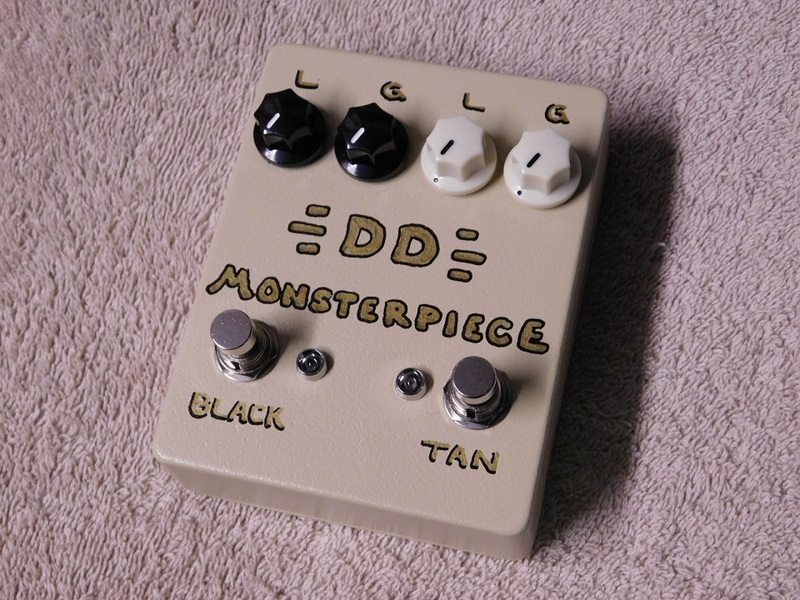 The Monsterpiece Double D Black & Tan Distorion Unit takes you back to the vintage distortion tones of the late 1970’s and early 1980’s all in one dual distortion pedal. This is my take on classic Chanute, KS made tan ross distortion with it’s Germanium clipping diodes, and the Taiwanese made black ross distortion with it’s silicon clipping diodes. You can run each side individually, or cascaded together at the same time. Fun stuff! Same for each side… Level and Gain. 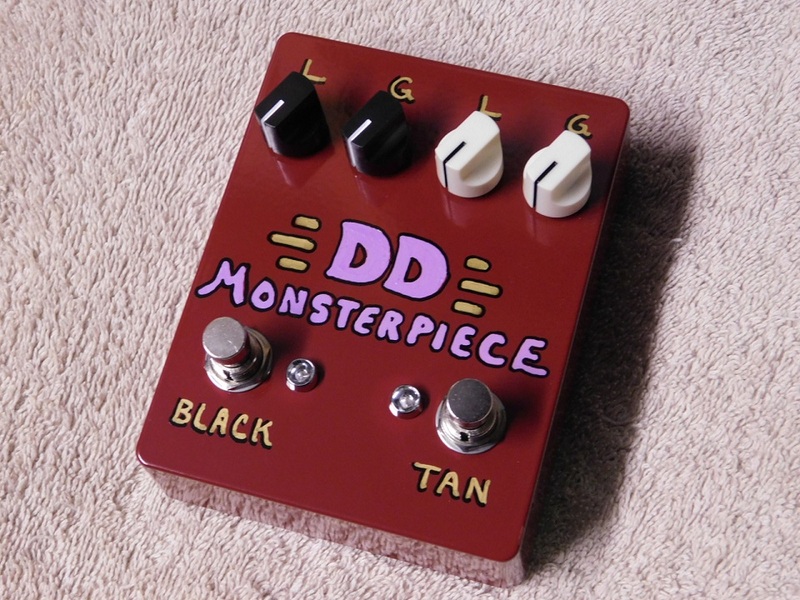 The Monsterpiece Double D can be powered with 9 volt battery or 9 to 9.6 volt center negative barrel plug dc adapter.